Now that you are done with dental school, what's next? Have you already thought about what career path do you want to pursue? Finishing dental school is not the end of your long and arduous journey but the beginning of a more challenging trip to the real world of dental practice. New dentists nowadays have many options available when it comes to choosing their own career path. Two of the most common options that new dentists and even seasoned dental professionals can take are private dental practice and corporate dentistry. If you are torn between private dental practice and corporate dentistry or perhaps you are not yet really sure which of these career opportunities to take, we suggest that you take a look at the major differences of these two career opportunities as well as the pros and cons of each one of them. Professional freedom in dentistry can be quite complex. 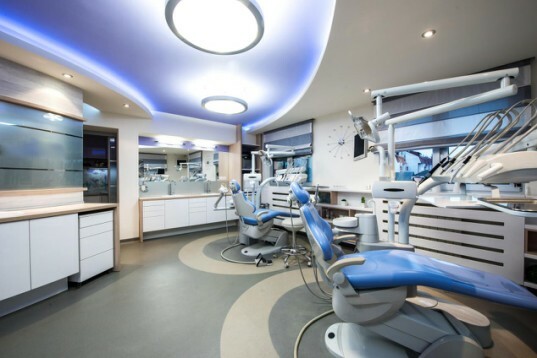 While most of the new dentists want to be their own boss and to enjoy the professional freedom which they can ultimately achieve through private dental practice, some are also considering corporate dentistry. When it comes to clinical autonomy, dentists who are in private practice enjoy full freedom. If you are in private dental practice, you can claim flexibilities and rights as to which clinical path you want to take. You are your own boss when it comes to how you will manage and run your practice, and how you will handle the ins and outs of your business. There's no clinical manager, supervisor, or director who will direct you what you should or you should not do. Since you own the business, you have the freedom to set your own goals. You can also earn a higher income in private practice and your potential to grow more is unlimited. In fact, you can earn as much as 30% higher than those practicing corporate dentistry. If you are practicing corporate dentistry, you do not need to work on different managerial and administrative tasks. This enables you to concentrate more on your practice. If you have a family and you are assigned to another place, the corporate entity can provide you with a relocation package. One of the primary reasons why many new dentists now pick to start their career by joining a corporate practice is the stable income it can provide them. You can work on a regular schedule regardless of whether it is a part-time or full-time job and expect to receive a regular income. You also do not have to worry about patient scheduling and staff training. You also do not have the burden to collect the accounts receivables because the corporate employees and collecting team are the ones handling them. Those working in a corporate dental establishment have very limited clinical autonomy. Their income and growth possibilities are also limited. You also need to work harder to avoid being fired. Corporate dentistry is ideal only for those dentists who just want to show up and practice dentistry. If you are a free-spirited dentist who wants to explore different possibilities or strategies in dentistry, this may not be ideal for you. This entry was posted in Dental industry news | Schultz Dental surgical blogBy Roger Jing On Dec 20, 2017 .